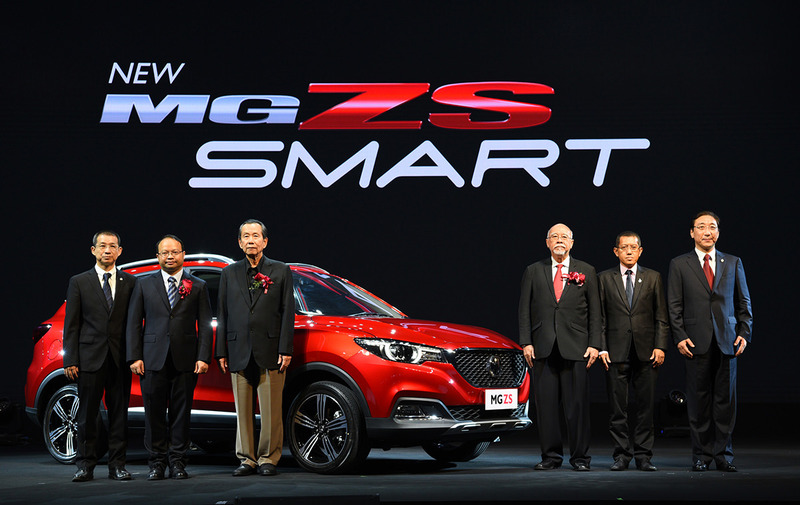 SAIC Motor-CP Co., Ltd. and MG Sales (Thailand) Co., Ltd., unveil the New MG ZS – the smart car for limitless lifestyles with world’s first Thai language-enabled voice controlled connectivity ‘i-SMART’. 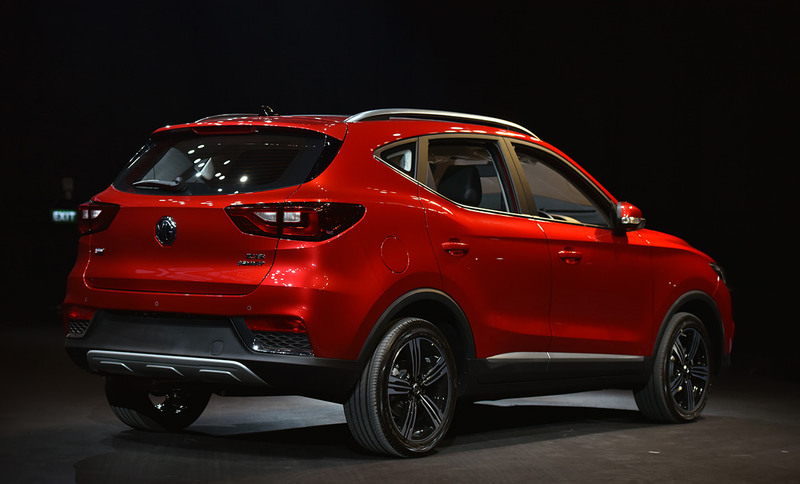 MG’s evolution of Brit Dynamic design language deliver an eye-catching sleek and sporty contemporary exterior. Premium spacious interior is a comfortable place to be in with added reassurance of class-leading 9 Synchronized Protection System safety. 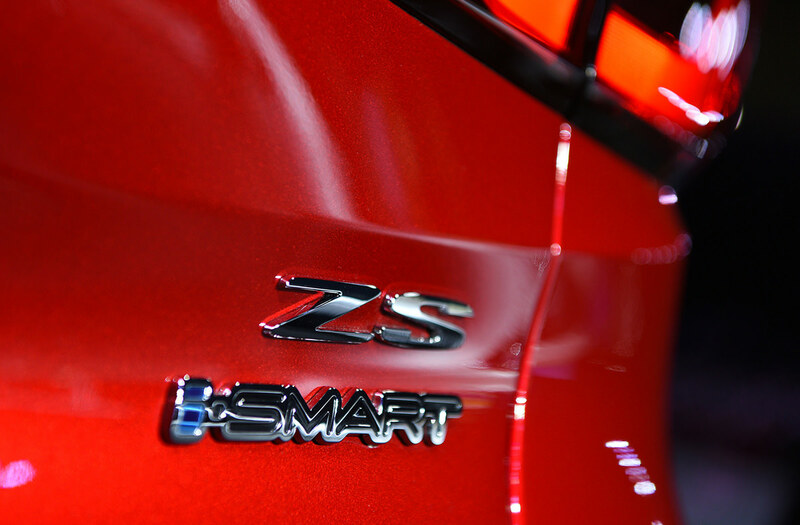 The New ZS is the first MG with the i-SMART connectivity system which introduced in September. 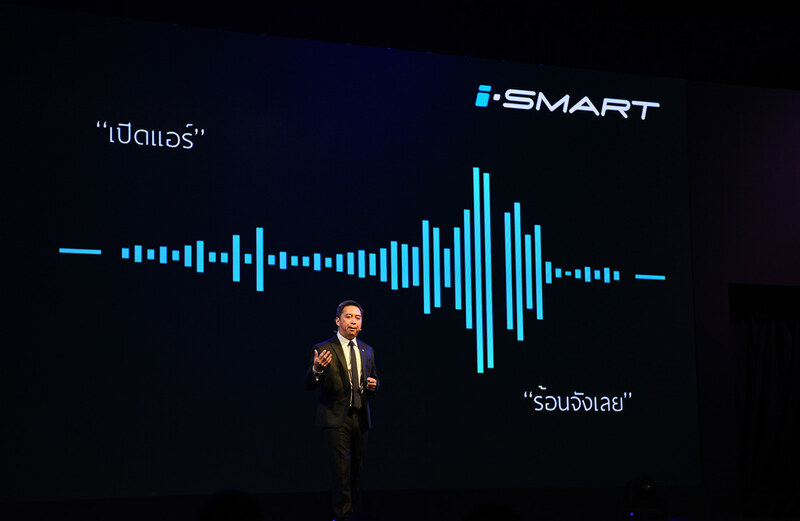 The i-SMART can be controlled in three ways: via voice command in Thai language, via the touch screen on the dashboard and via smart phones using i-SMART application. The system let the the driver can switch on the air-conditioner by using the smart phone application. The i-SMART system also features a smart navigation system so you can easily find and ask for best direction to a tourist site, hotel or restaurant – complete with real-time traffic information. 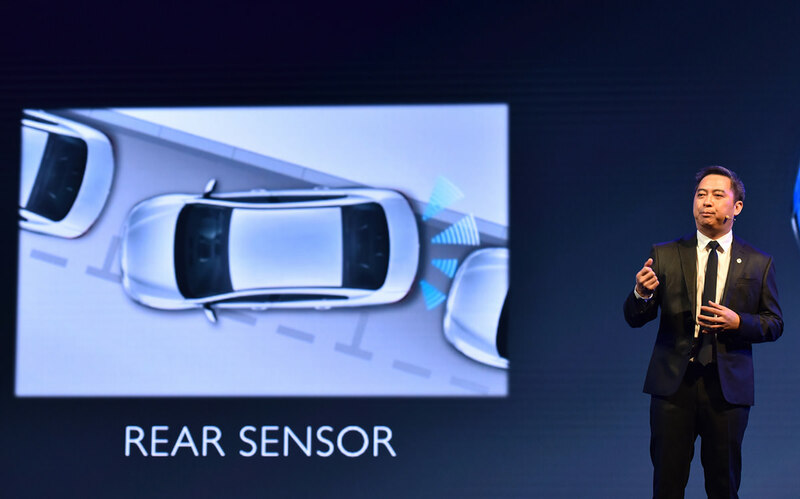 The i-SMART is powered with artificial intelligence (AI) that enable it learn your driving habits which compliments its usability as an Internet of Things (IoT) system.The system also serve the driver by conveying important information such as fuel level, battery condition, engine sand brake status via its smart phone app. In the event of suspected theft, the system can immediately notify the driver for enhanced peace of mind. 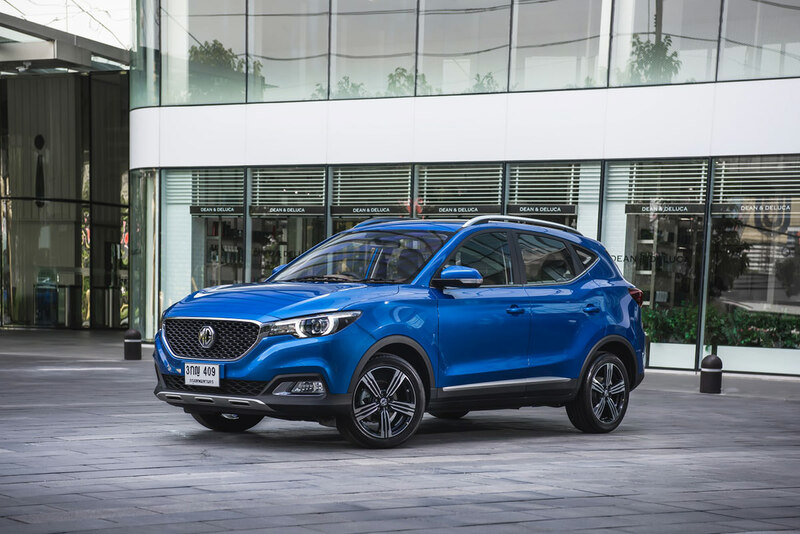 Exterior of the New MG ZS is another iteration of MG’s Brit Dynamic design language delivering a more modern and sportier look to entice the new generation who appreciate the agility and Britishness of MG cars. Taking a new direction is the new brand frontal design whose luxurious grille start off dynamic lines that flow over the bonnet and around the front wheel arches all the way to the rear. The side profile is highlighted by sculpted line that begins at the head light and ends at the rear wheel arch.The Sensual Design shape of the rear end, including the unique LED tube rear lights. 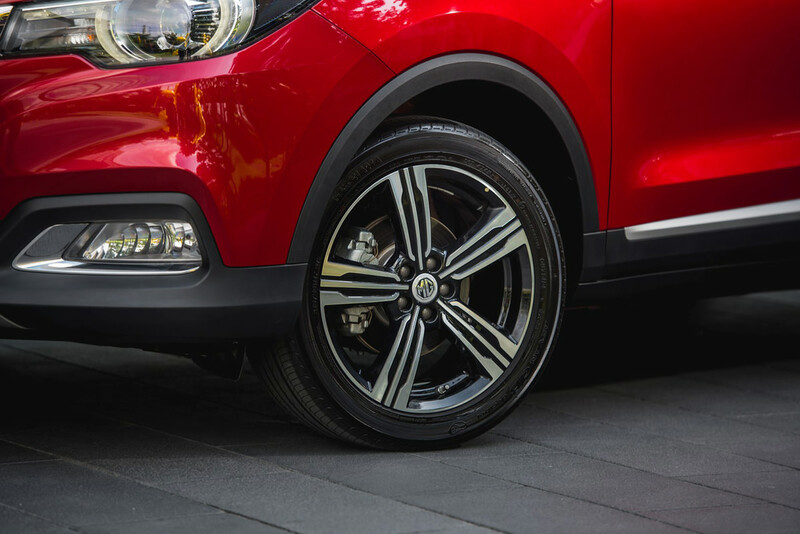 Acting as firm foundation, the bi-colour 17-inch alloy wheels are unique to the New ZS alloy wheels and for added driving pleasure a panoramic sunroof is available. The New ZS interior exudes true European flair with premium two-tone upholstery, door panels and elegant soft-touch dashboard and console. Attention-grabbing sporty jet turbine-styled air vents flank the left and right side of the dashboard while the driver is greeted with high visibility illuminated smart multi-function display. 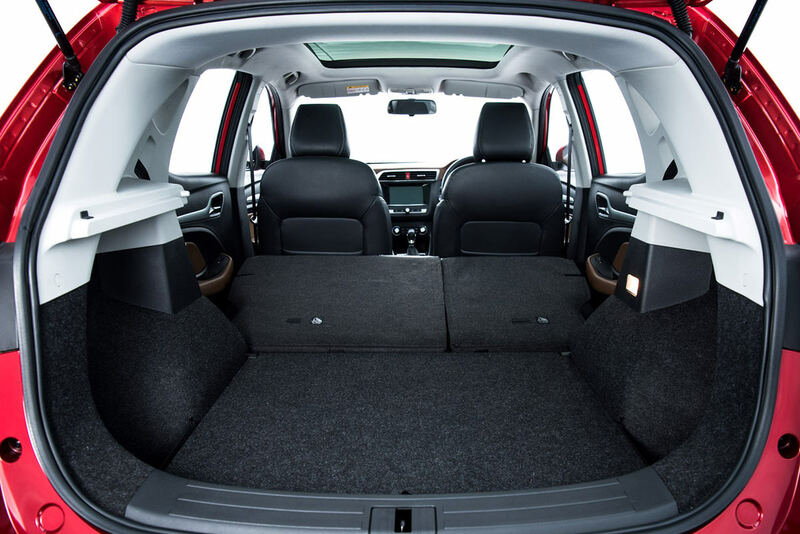 Great versatility comes courtesy of 60:40 split rear seats which can also adjusted by 10 cm to allow for more cargo room lengthwise. 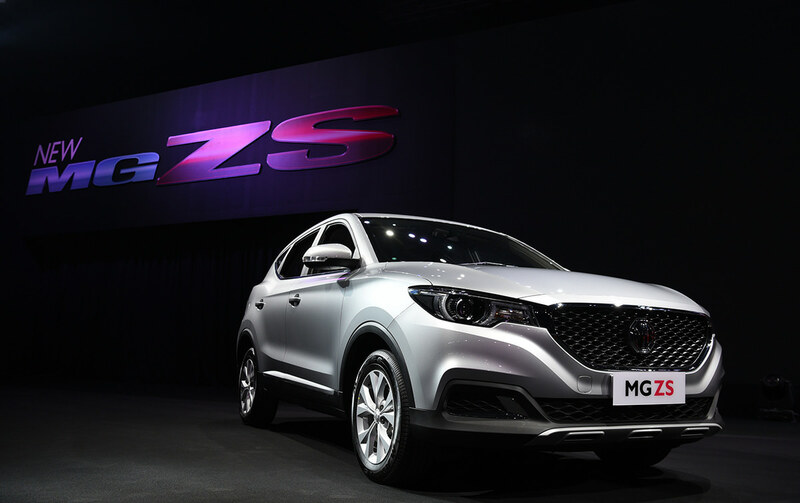 The New MG ZS is powered by a powerful and efficient 4-cylinder 1.5-litre DOHC VTi-TECH engine producing 114 hp at 6,000 rpm and 150 Nm of torque at 4,500 rpm. Responsive 4-speed automatic transmission with manual mode takes care of all driving needs. 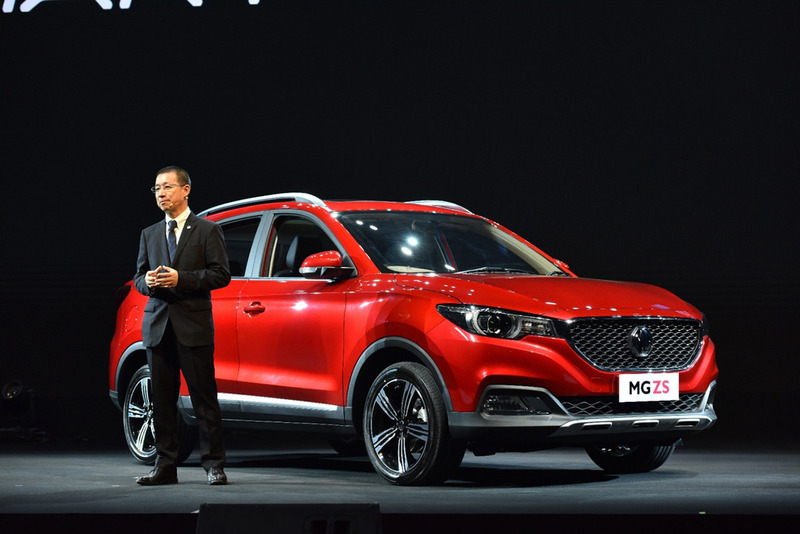 MG gives safety priority across all model range and the New MG ZS is no exception. First and foremost the Full Space Frame body structure engineered to protect all occupants and fortified by 9 Synchronized Protection System. 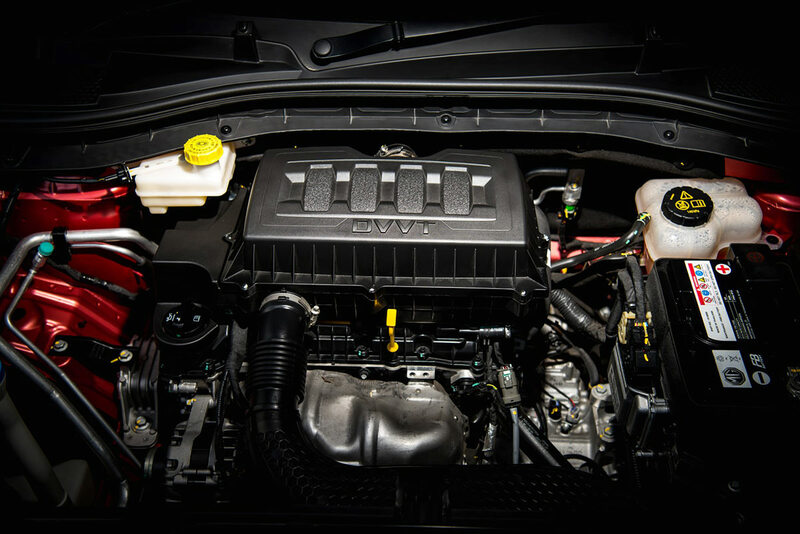 This comprehensive safety package comprise (1) Anti-lock Brake System (ABS), (2) Electronic Brake Force Distribution (EBD), (3) Electronic Brake Assist, (4) Stability Control System (SCS), (5) Curve Brake Control (CBC), (6) Traction Control System (TCS), (7) Hill Start Assist System (HSA), (8) Tire Pressure Monitor System (TPMS) and (9) Emergency Stop Signal (ESS). Comprehensive passive safety consist of 6-point Airbags (Dual Front Airbags, Dual Side Airbags and Dual Air Curtain Dual Front Airbags) and assisting the driver with reverse camera and sensors. 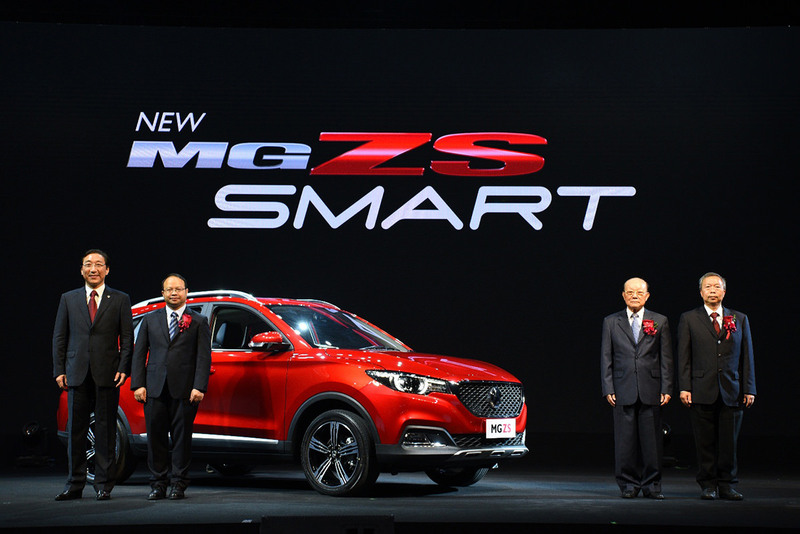 New MG ZS – the smart car for limitless lifestyles with world’s first Thai language-enabled voice controlled connectivity ‘i-SMART’. 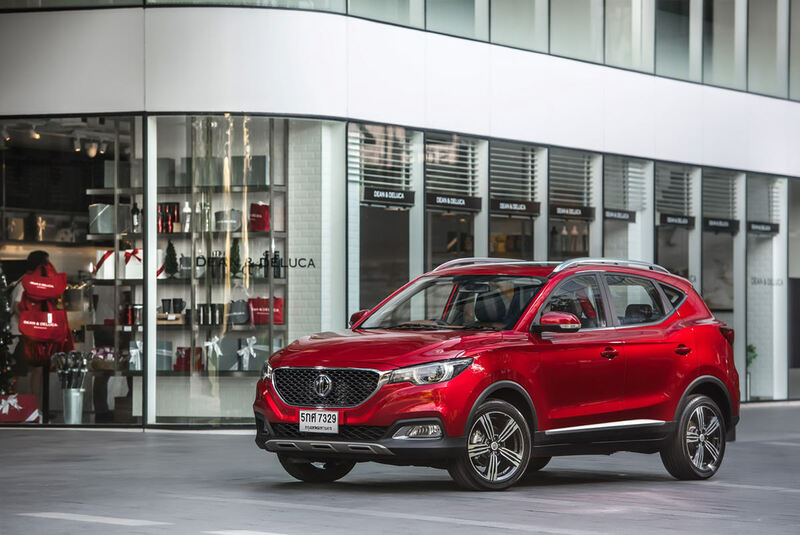 MG’s evolution of Brit Dynamic design language deliver an eye-catching sleek and sporty contemporary exterior. Premium spacious interior is a comfortable place to be in with added reassurance of class-leading 9 Synchronized Protection System safety. 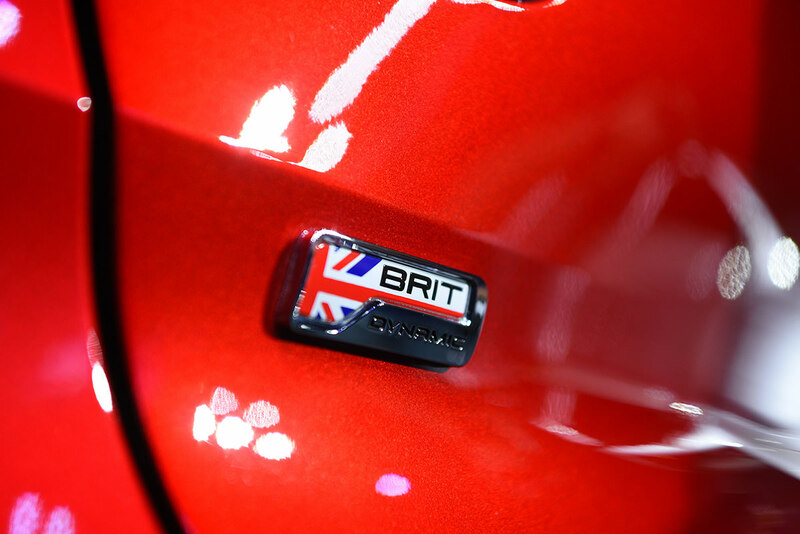 Developed under the Brit Dynamic Concept focusing on three main concepts which are exclusive, emotional, and agile. 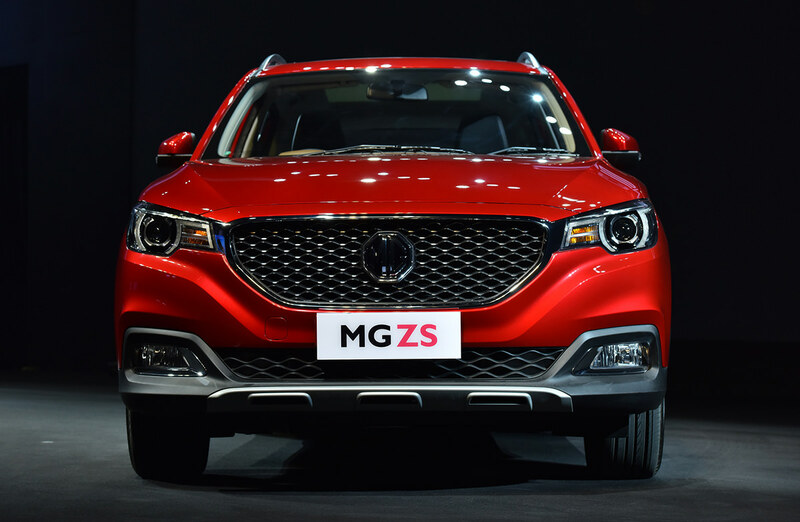 The new generation front grille portrays modern & luxury concept without losing the iconic sense of MG identity. 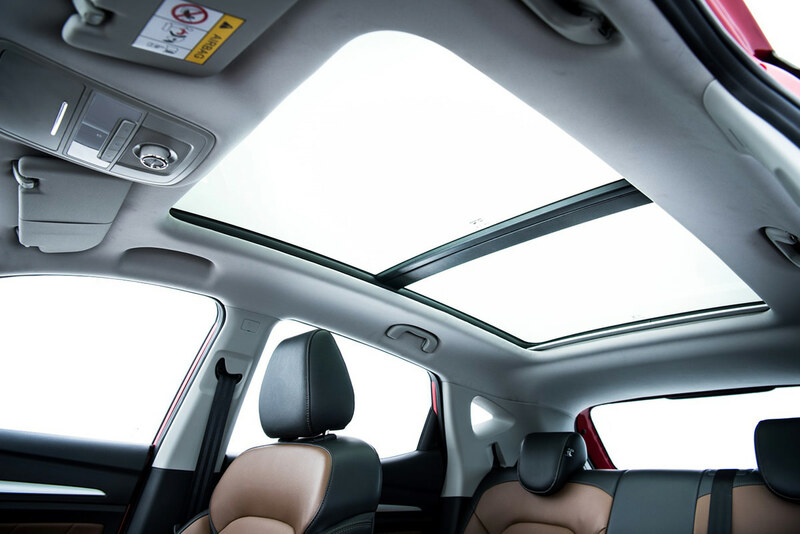 Panoramic sunroof roof – 90% of the total roof area. (X model only). LED High Mount Stop Lights. Front and Rear Fog Lights (except C model with rear fog lights only). Sided-View Mirror with Turn Signals. Roof rail (except C model). Unique sporty rear door opening. Automatic on-off head lamp system (X model only). Front and rear rain wiper17″ alloy wheels (X model only). 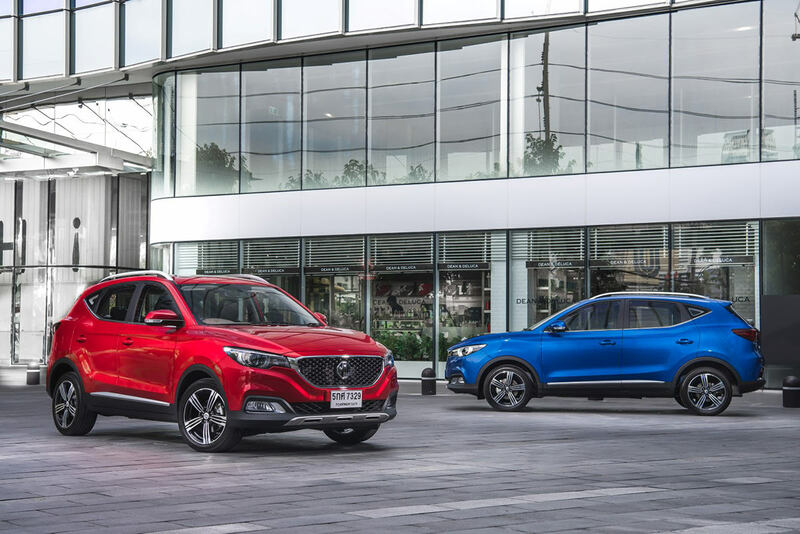 5 body colours – Scarlet Red, Marina Blue, Black Knight, Arctic White, and Silver Metallic (C model is available in Arctic White, and Silver Metallic). Decorated with two-tone color reflecting the luxury and sportiness of the European car. Smooth texture enhancing the image of elegance. Expanded luggage space with 60:40 spilt folding rear seat. 2-way adjustable leather steering wheel. Cruise Control (X model only). 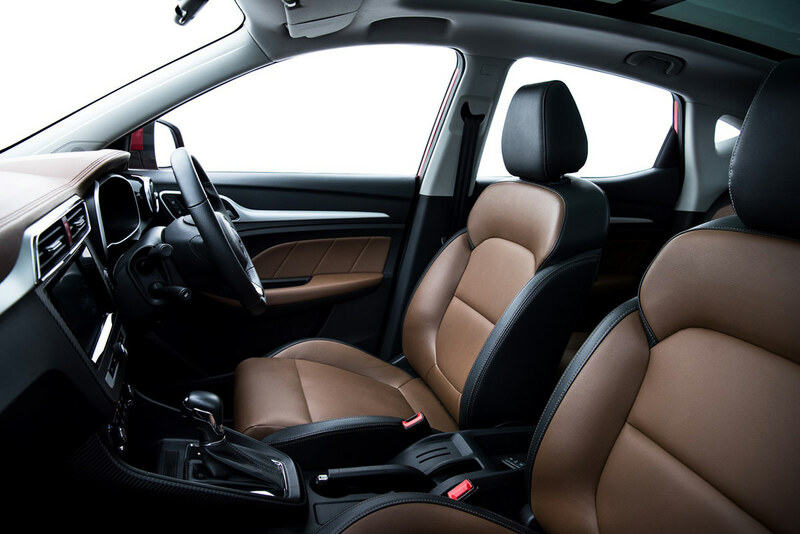 6-way adjustable driver seat and 4-way adjustable front passenger seat. Digital air-conditioner (except C model). Air outlet in jet turbine style. Intelligent start button (except C model). 12V power supply with map light. Multifunction steering wheel with audio controls and call-end button. 6 speakers (C model has 4 speakers). Mobile connection compatible with Bluetooth, and USB. Maximum power output: 114 horsepower (84 kW) at 6,000 rpm. Maximum torque: 150Nm at 4,500 rpm. 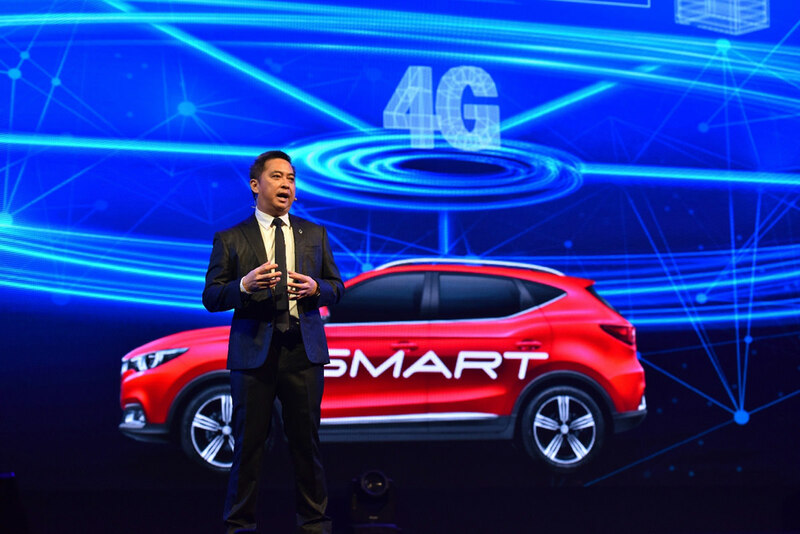 i-SMART connectivity system i-SMART connectivity system with driver behavior learning and world’s first Thai language voice command. 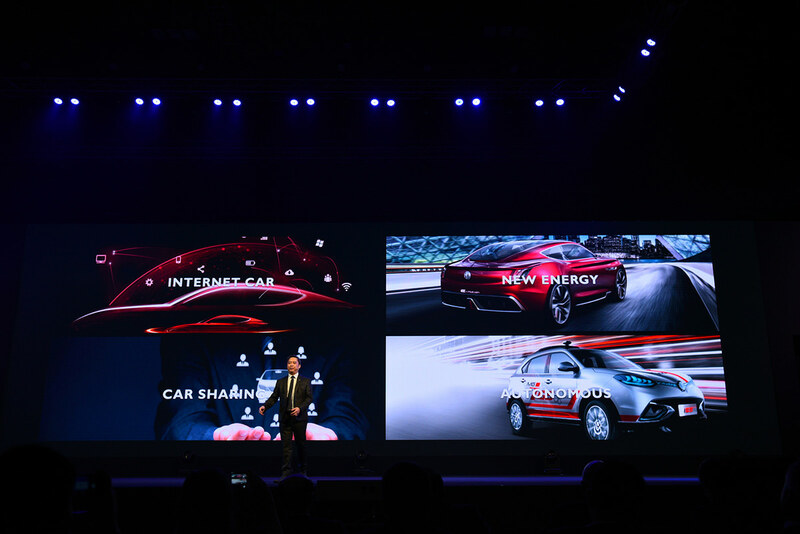 The new system showcase a new step towards a smart car offering enhanced level of convenience, comfort and safety to cater to the IT generation. 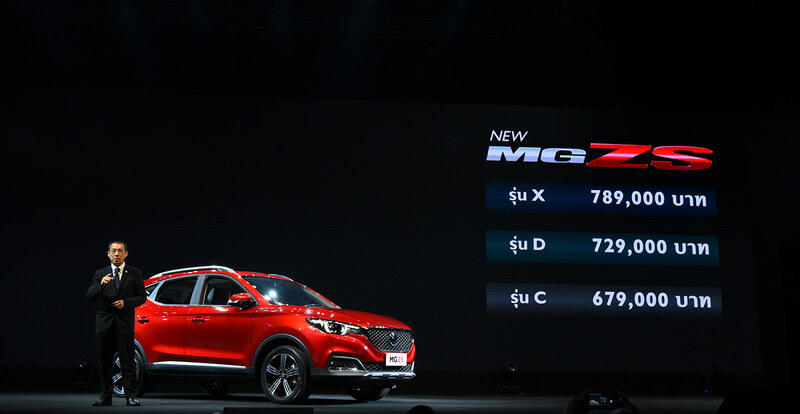 The user simply say “Hello MG” in Thai to activate the voice command system and control various functions including the entertainment system and satellite navigator thus enhancing safety as the driver has two hands on the steering wheel and not having to reach the dashboard to operate. 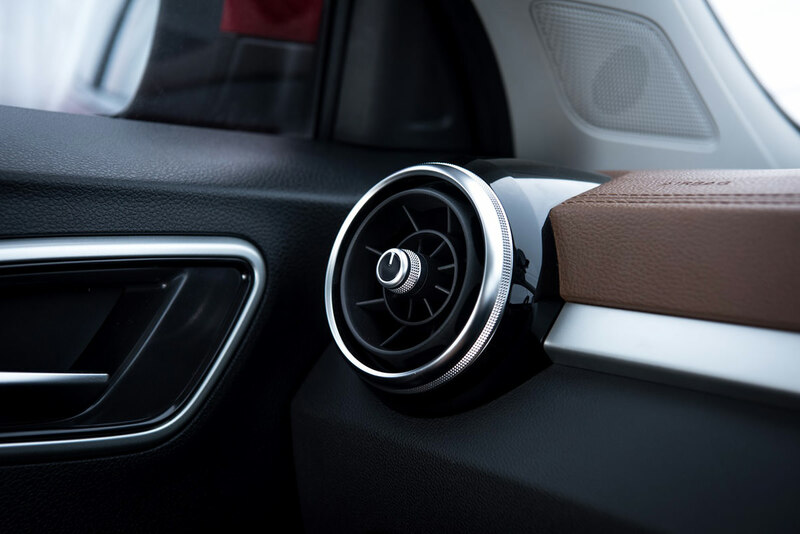 I-Smart is also operable via the multifunction touch screen on the dashboard and even via an app on a mobile device. Thai Voice command – The driver can command the panoramic sunroof / audio / air conditioning system / call and answer / navigation system. i-SMART on touchscreen supports navigation system with real-time traffic monitoring system. There are also systems that can recommend restaurants and accommodations on the navigation map. i-call personal secretary system. i-SMART Mobile Application enables users to conveniently order various functions within the car via mobile phones, including the turn on and off the air conditioning system, lock and unlock the door, travel planning, electronic scope system, Find my car, car status check, and warning of car breakdown. Established in 1924, MG or Morris Garages is an iconic British brand steeped in tradition dating back more than 90 years. 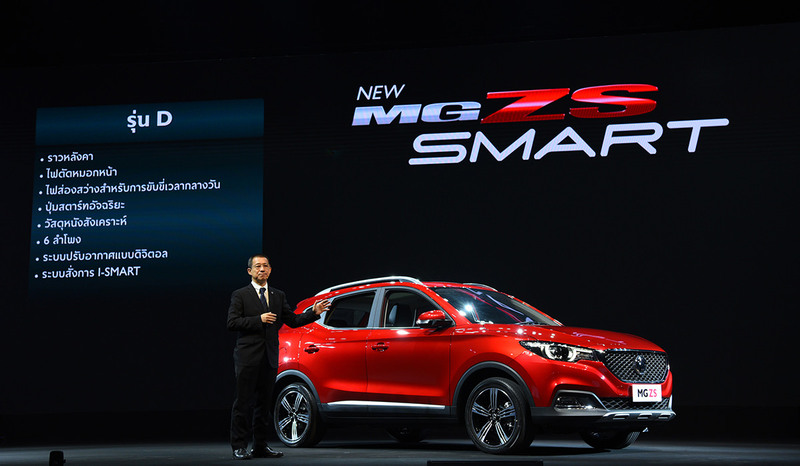 To date, MG is owned by SAIC. MG’s design, function and technical centres are located in Birmingham, England. 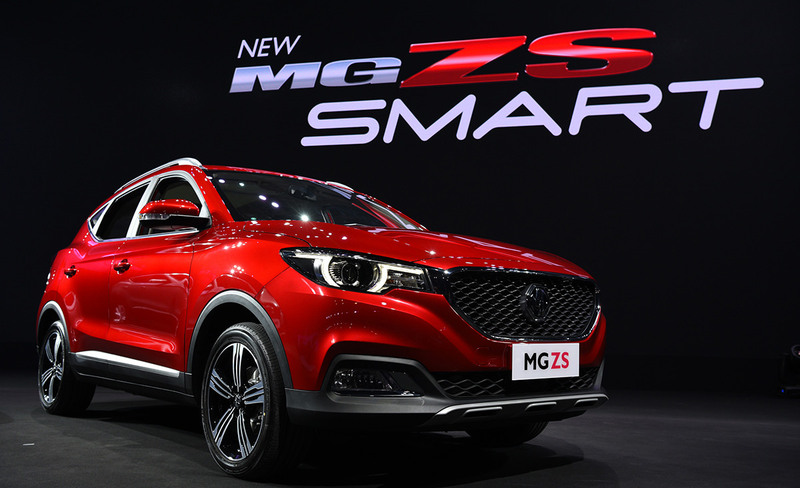 MG is a British brand which incorporates cutting-edge European engineering technology, and enjoys synergistic support from SAIC in the form of global sourcing, automotive components supply chain, quality control management and other services. MG is best known for its world-renowned two-seater MGB roadster which was introduced in 1962. 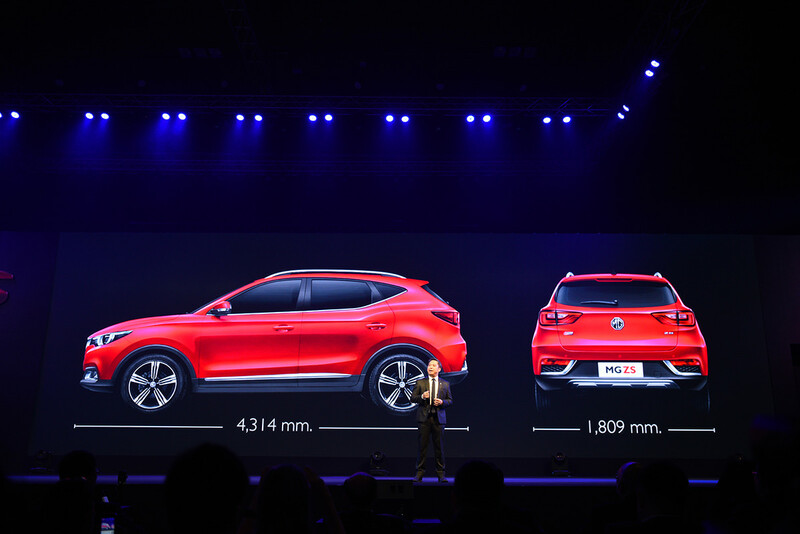 Today, MG produces passenger cars for world-wide distribution. 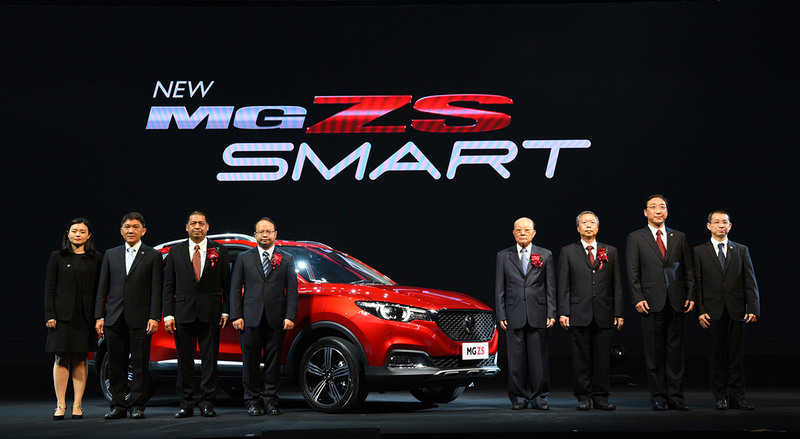 Founded in 2013, MG Sales (Thailand) Co., Ltd is the Sales, Marketing, and After-sales services arm for the MG brand in Thailand. 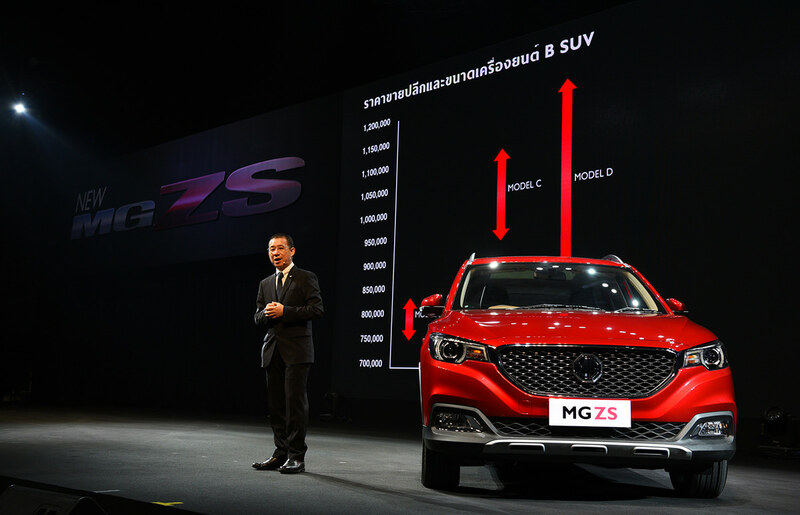 MG Sales (Thailand) Co., Ltd oversees dealer networks and is both a joint venture and business unit of the Charoen Pokphand Group (CP) and SAIC. 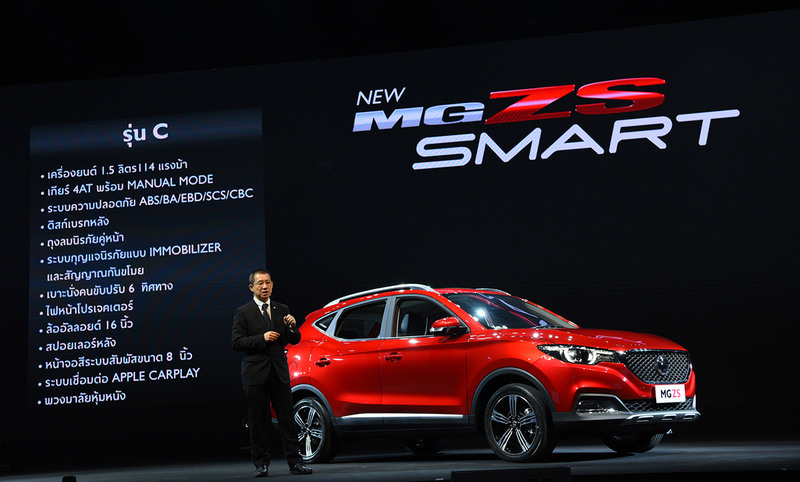 Shanghai Automotive Industry Corporation (SAIC) is one of the world’s largest integrated automotive companies; while Charoen Pokphand Group (CP) is one of Thailand largest conglomerates. 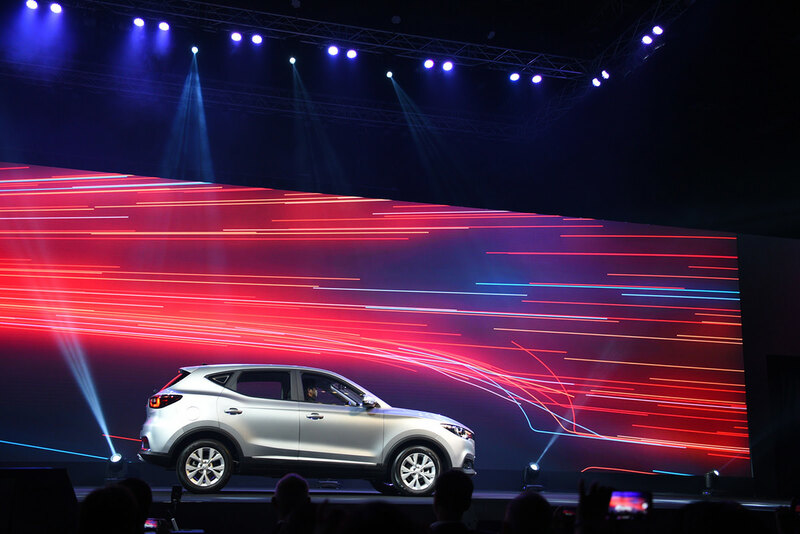 Both CP and SAIC operate the state-of-the-art SAIC Motor-CP Co., Ltd manufacturing facility which assembles the iconic MG vehicle, to serve both domestic and ASEAN markets. 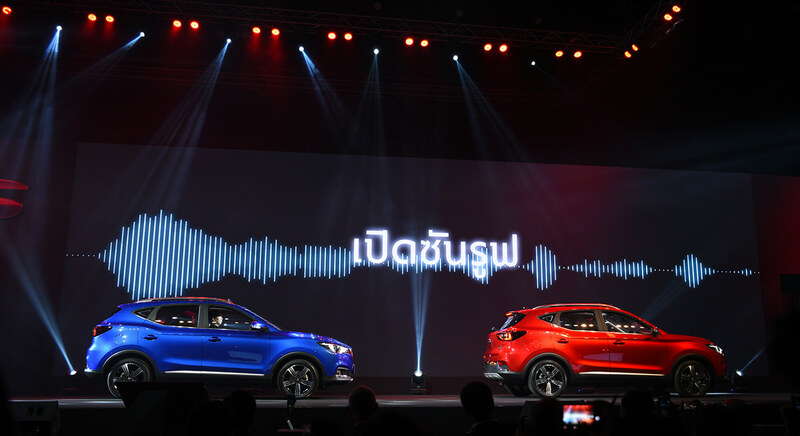 SAIC Motor-CP Co., Ltd, the manufacturer of MG vehicles, is located at the Hemaraj Industrial Eastern Seaboard in Chonburi.